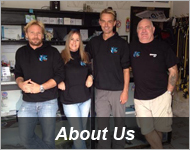 Cresta Dive Centre is a boutique dive centre that keeps things organised, safe and personal. If you are a beginner we have great conditions to start diving in, We offer some of the best wreck and "safe open" cave diving in the Mediterranean. Malta is made up of three small islands (Malta, Comino and Gozo) where we have a vast amount of dive sites to enjoy both by shore or by boat, perfect for scuba diving and snorkelling holidays. Malta has crystal clear warm waters that provide you with shallow points for your first ever dives and PADI scuba diving courses. If you are an experienced diver Malta has an amazing selection of dives at different depths allowing for all levels of diver to be able to enjoy. 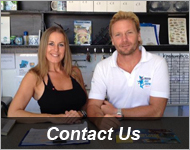 We keep our diving simple, No large groups, No Tec Dives or Decompression dives done here. We use normal air and keep well within the safe dive times and depths. 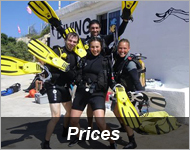 Before you choose your dive centre in Malta please consider - Hidden Costs, No Time Wasting, Equipment rental included? Qualifications of your Dive Instructors, Safety of transportation, Quality of equipment, Age of compressor, Do they have their own dive boat? Size of dive groups, Diversity of dive sites, Do they give you cheap flippers or proper fins? Money back guarantee that we find the wrecks. We Are Open 7 Days A Week all year round, free Pick up service. Please note: You should be in reasonable health and if you are over the age of 60 you will need a full Medical done by the local Diving Medical Officer at the dive center for 180 euro. You must wait 12 hours before flying after one single dive. Free Equipment Rental and No Hidden Costs with us! Your safety and enjoyment are paramount.